Who knew that when I stepped onto the lush green grounds of Vancouver’s Stanley Park in the summer of 1990 that I’d be writing about it 27 years later. I sure the hell didn’t. 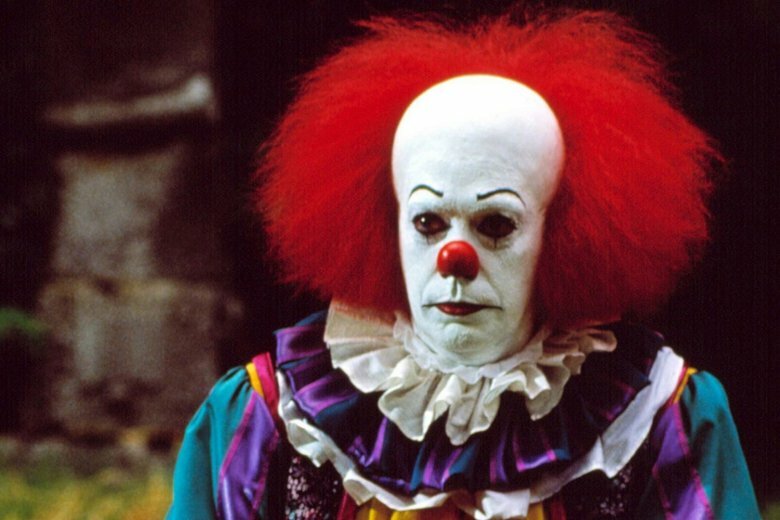 The other would be an in-depth interview with Tim Curry, who was playing It‘s pivotal villain, Pennywise the Dancing Clown. As it turns out, that’s the conversation everybody wants to hear about all these years later, and–thanks to my habit of saving most all the tapes from my 35-plus years of rock and horror journalism–can now actually hear. Then there’s the fact that, just last year, citizens in various countries started reporting people in creepy clown outfits threatening others on the street, committing crimes, and generally causing havoc. If you were already terrified of clowns, 2016 was definitely a year to watch out for Bozos. But perhaps the main reason why folks in 2017 are all “Pennywise-this” and “Pennywise-that” is because Tim Curry did such an unforgettable job of bringing the taunting, child-killing character to life. In the first audio excerpt I posted from the interview–which was conducted in Curry’s trailer while he was in full Pennywise makeup–he explained that, to him, the clown was like “a smile gone bad”. “Basically he’s just pure evil,” said Curry between bites of a tomato and cream-cheese sandwich, crusts removed. “And he can also metamorphose into various other forms—mostly into the image feared most by whoever he’s appearing to. In the second audio excerpt, which I posted a few weeks back, Curry can be heard detailing how the actual look of Pennywise was created. This third excerpt from my chat with Curry has me asking the actor if he’s a horror- or fantasy-genre fan. He seemed to put a lot of thought into his answer.